U12 players will play 8 v 8 soccer. Each game will consist of two 30-minute halves. Players will rotate positions throughout the game if desired. Games will be played at Swanton, Delta, and Evergreen. Training takes place 2-3 days per week. In order to maximize the benefits of the program, attending training on a regular basis is critical. 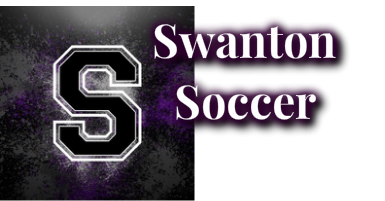 Players wear the purple/white reversible Swanton Soccer jersey, along with black shorts, black soccer socks OVER shin guards, and either soccer cleats or tennis shoes.